Spoilers ahead for This Is Us. You’ve been warned! Now we know. 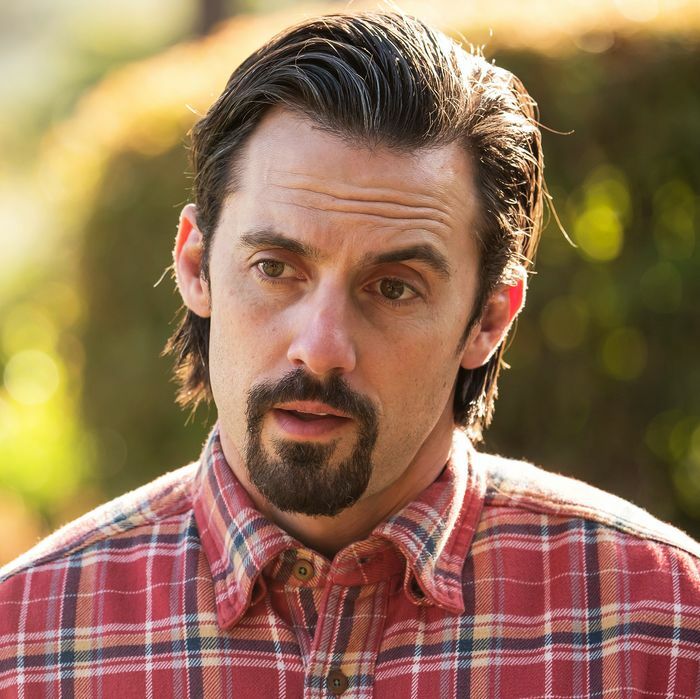 Thanks to the heavily promoted and widely watched Super Bowl episode of This is Us, we know that Jack Pearson (Milo Ventimiglia) died due to cardiac arrest brought on by smoke inhalation after that devastating house fire. Courtesy of last night’s episode, “The Car,” we know that his body was cremated, and that his ashes were spread underneath a tree whose significance has finally been explained. We also know that Kate and Randall cried during the funeral, but Kevin and Rebecca didn’t. And if we didn’t already, we know that in times of need, Gerald McRaney will show up out of nowhere to make an uplifting speech, like if Batman were a life coach. Basically, we know the answers to all the questions about Jack’s untimely death, which hovered over the series for nearly two seasons. So it’s no wonder that people are asking where This is Us will go from here. The preview that followed Tuesday night’s episode stressed that there’s still more to Jack’s story, including, apparently, details involving his service in Vietnam. Still, if viewers have a “what now?” feeling, that’s understandable. There has been so much buildup to Jack’s death on the part of both the writers and NBC’s marketing department that it feels like a major aspect of This Is Us has been resolved. But here’s the thing: The show’s narrative engine runs on a much more significant premise than how and when certain characters leave this mortal coil. This Is Us is a show about the way loss reverberates over time and through the branches of a family tree. Although the two dramas differ radically in terms of tone and sensibility, in a way, This Is Us can be viewed as a more mainstream, less fantastical companion piece to The Leftovers. On a very micro level, This Is Us shows us what happens to people, over decades, after someone they deeply love suddenly departs. To its eternal credit, and unlike This Is Us, The Leftovers refused to give us answers about how those departures happened. It’s much harder to get away with that sort of thing on a broadcast network, but I don’t think This Is Us is interested in doing it anyway. The show is too gentle and kind at heart to allow its reality to get quite as harsh as The Leftovers did. The ultimate mission of the Pearson family’s saga is even simpler than attempting to display the many shades of grief. In the subjects it explores and the storytelling choices it makes, This Is Us consistently conveys the message that life blindsides everyone who lives it. Everything about Jack’s death — not just the fact that it happened, but the fact that it was an unanticipated disaster, after it seemed like he was going to be okay — taps directly into that idea. There are tons of other examples of this approach in the Pearsons’ story, including Randall’s discovery of his birth father, William (Ron Cephas Jones), and subsequent realization that Rebecca knew who William was his whole life; Kate’s miscarriage; Toby’s heart attack; and Kevin’s football injury. The entire way this family unit was born — with the loss of one child and the unbelievable gift-from-God replacement of that baby with another — speaks to the notion that life is what happens when you’re making other plans. While the narrative approach of This Is Us can be a bit gimmicky, all of those plot twists are designed to support the idea that people and events throw punches that can’t be anticipated. The use of those storytelling devices is supposed to make us, the audience, feel as gobsmacked as the Pearsons do when unexpected and unfortunate events transpire. I’ve written before about how the slow trickle of information sharing on the series was cannily borrowed from “mystery-box shows,” then applied to a traditional family drama. But Dan Fogelman and the writers of This Is Us have done that for a legitimate reason: to make watching the show feel as surprising as life itself. But because of human nature and the way that we’ve been conditioned to watch TV, viewers often take to theorizing in an attempt to stay one step ahead of wherever This Is Us might go next. (As I’ve said before, yes, we at Vulture are part of the problem.) Those guessing games can certainly be fun. But the need to figure it out ahead of time, including the mystery of Jack’s death, runs counter to what This Is Us is trying to say about human experience, which is that you can’t see what’s around the corner no matter how frequently you peek. This Is Us knows that some people watch this show the same way, too. But that mini-monologue seems to be suggesting that we shouldn’t. Jack Pearson was the guy who always believed everything would turn out okay. He was the one who bought into the notion that there was some grand plan in life. It was his optimistic spirit that embodied season one of This Is Us, so much so that the show never felt quite as dangerous as its “here comes the twist!” structure wanted it to be. But now we’ve reached the point where the experience of Jack’s death is no longer shrouded in secrecy. We know how it happened. We were witnesses. We also know that Jack wasn’t always right: He, and we, can’t predict what’s going to happen, in our movies or our own stories. With Jack gone and the rest of his family standing there, next to that tree where he told Rebecca he knew she would live forever, it is obvious they feel lost. They have no idea what they will do or where life will take them. It’s up to Rebecca and the Big Three to continue on their own terms, and now it’s up to the show to do the same thing. Which means the challenge that faces the Pearsons is the same one facing the This Is Us audience: to accept and embrace that we have no clue where anything goes from here. Because of that, maybe This Is Us can really start working toward its main purpose: to acknowledge that life is a mystery, and no prediction or theory can ever fully prepare you for what happens next.